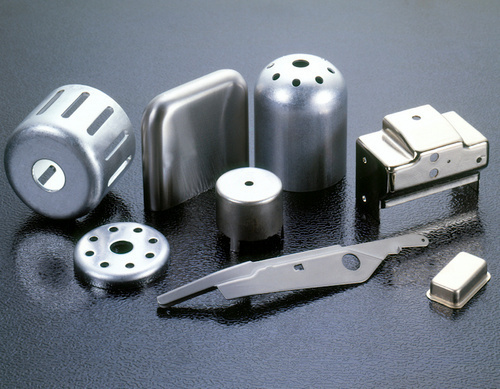 Nano particle conversion coatings promote adhesion of organic coatings on all metal surfaces. 1) The coating formed in NANOTREAT-NPT3A process offers excellent corrosion prevention under painting. 2) NANOTREAT-NPT3A process eliminates the very harmful to atmosphere pollute process. 3) NANOTREAT-NPT 3A coating can be welded prior to organic coating. 4) NANOTREAT-NPT3A is very easy to handle. 7) This process eliminates surface activation stage, and passivation stage. 8) NANOTREAT-NPT3A does not release any fumes, pungent smell etc. 9) It contains no toxic and harmful chemicals, so the waste disposal is very simple. 10) Does not contain chromates, silicates, or nitrites. 11) Is effective in replacing conventional iron phosphates in many pre-paint applications. 12) Sludge formation is very negligible.